Michael Phelps won his 18th career gold medal – 22nd overall – in the butterfly leg in the 400-meter individual medley earlier today. This also was his sixth medal in the 2012 Olympics – four gold and two silver. That should prove one thing. Phelps is the greatest Olympian of all time. Too early for such a proclamation? I think not. I mean, dude won 22 medals – 22! Chew on that for a minute. The Olympics arrive every four years. That means for four consecutive Olympics – which covers 16 years – an athlete would have to average AT LEAST five medals per Olympic games to reach Phelps’ 22. I don’t know about you, but I do not see that happening. Sure, I have always maintained that Carl Lewis was the greatest Olympian ever. And while I won’t suddenly poo-poo on Lewis’ accomplishments, I have to give Phelps his due. So here’s to you, Michael Phelps, as you enter retirement. Enjoy the accolades my man, you have definitely deserved them. Have to give him props for this even though I’m Team Lochte. Tsk, Tsk, Tsk. You need to remove the word “individual” from your very first sentence. Nothing individual about the medley relay. The 400 *individual medley* was the race he placed fourth in at the beginning of the games. You know what, that’s what happens when you write stuff late at night – you forget to proofread your crap lol. Thanks for pointing that out Eddie, and keep reading :)! Very difficult to compare or rank Olympic athletes. Many have only one medal available to them while others can enter multiple events in their field. LeBron may be a greater athlete than Phelps but he would be about 100 years old by the time he won 20 medals. Yea, he’s a great athlete. 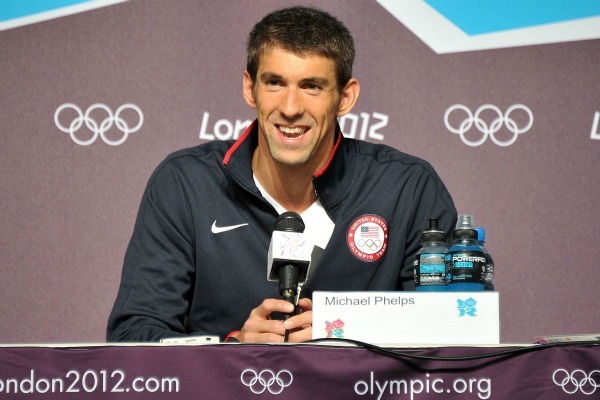 After Lochte “blew him out” in their first race for gold, Phelps was obviously shaken. I didn’t know if he’d recover, he hadn’t been in a position like that in many years. But he did answer back, and loudly so! He’s the best of the best! 4 Olympics = 12 years, not 16. 2000, 2004, 2008, 2012.